It just goes to show that, put in the right hands, you can root, or shed a tear, for any protagonist -- even if it's a plastic bag. Shot in 2009 by Ramin Bahrani (who Roger Ebert called the "new great American director") this 18-minute film "traces the epic, existential journey of a plastic bag searching for its lost maker, the woman who took it home from the store and eventually discarded it." Adding a special touch, Werner Herzog narrates the inner thoughts of the bag as it "encounters strange creatures, experiences love in the sky, grieves the loss of its beloved maker, and tries to grasp its purpose in the world." Plastic Bag was one of 11 films released in the Internet Television Service's "Futurestates" film series exploring "what life might look like in an America of the future." 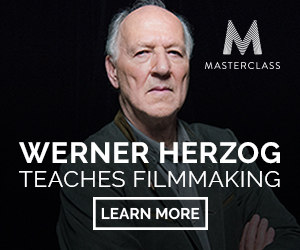 Upon its release, Herzog told The Guardian, 'I'm so glad this is not an agenda movie or I would run like mad and get away from here. I mean, we can talk about sustainability issues, about plastic, about the Earth, but the movie's about something else, something more … it's about a journey." An emotional, existential one, indeed. You can find Plastic Bag in our collection, 1,150 Free Movies Online: Great Classics, Indies, Noir, Westerns, etc..